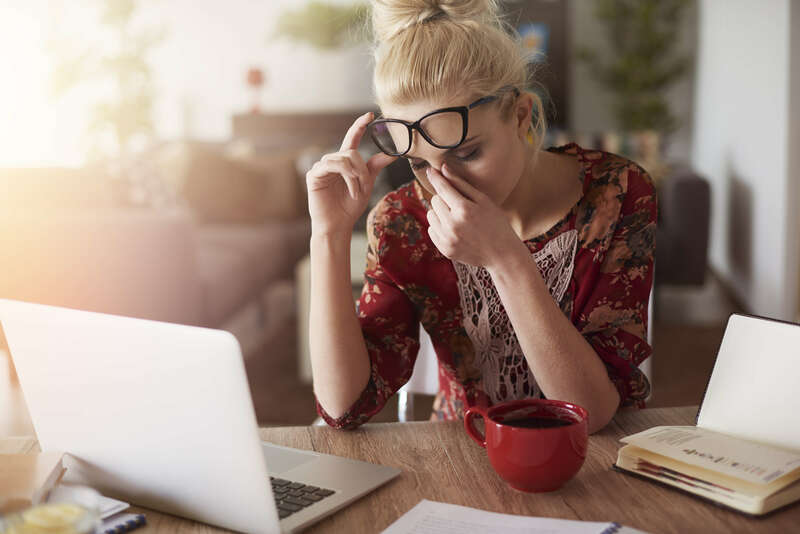 Many people experience headaches occasionally, but when headaches become chronic, they can affect your daily activity and reduce your quality of life. Panther Physical Therapy is here to help you understand some of the more common causes of chronic headaches. In the distant past when most people worked outside as laborers, poor posture was less of a problem. Now that many American workers are chained to their desks hunched over a computer screen all day, poor posture has become a much bigger factor in the cause of chronic headaches. The hunched over position of the head and neck place incredible strain on the muscles in the neck and shoulders. With normal posture, the vertebrae of the neck have a slight bend backward, but over hours, days and years of tilting the head in a forward position the muscles in your neck will actually move those vertebrae forward. This is why many tension headaches will also usually be accompanied by neck or shoulder pain. If you or a loved one suffers from chronic headaches, contact one of our friendly administrative staff today to begin your initial consultation and go over any questions that you may have.